This modern fountain pen is a 2004 Omas T-2 557/F Paragon – a limited edition numbered at 682/750 PIF in Titanium 12-sided faceted. Features gold filled trim. The T-2 was manufactured to commemorate Omas’s 75th anniversary. 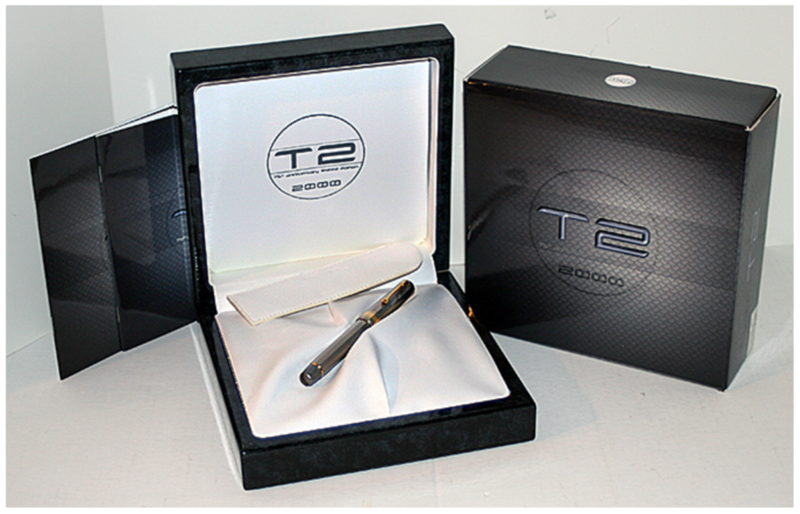 The fountain pen was made in three different sizes, this one being the largest and the numbered edition. This model has gold plated details while the other, smaller models, use rhodium. 18K, medium nib. Near mint+. These are almost impossible to find, especially mint in box with papers and outer box. 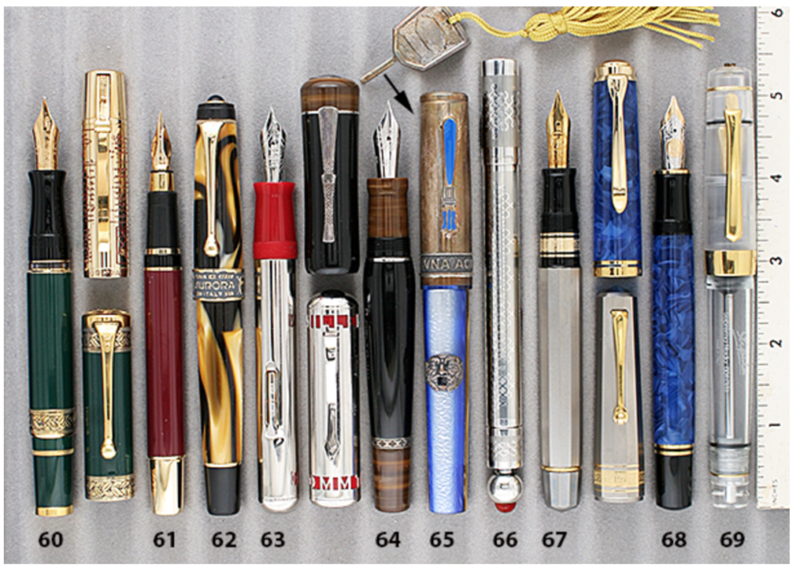 This entry was posted in Modern Pens and tagged Catalog, Catalogs, Discontinued, Extraordinary Pens, Fountain Pens, Go Pens, GoPens, Omas, Vintage Fountain Pen, Vintage Fountain Pens, Vintage Pen, Vintage Pens. Bookmark the permalink. Follow any comments here with the RSS feed for this post. Post a comment or leave a trackback: Trackback URL.